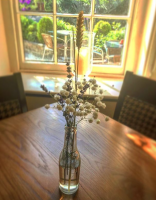 Take a look at our current Special Offers and upcoming events. 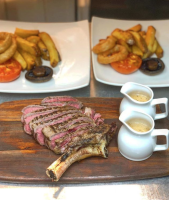 Cruise onboard "Norfolk Time" then once we return to our mooring head over to your pre-booked table at the locally renowned Ship Inn in South Walsham and take advantage of our Broadland Charters customers 20% discount. 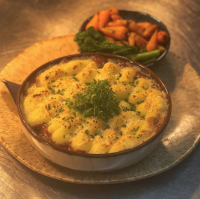 Offering a range of local ales, with a large food and drinks menu and offering a range of seasonal dishes all freshly prepared by head chef Mason Wooltorton and his team the Ship Inn is fast becoming known as a haven for delicious food and great service. Book our Cruise & Dine package and you will automatically receive a whopping 20% discount on your total bill (including drinks). In order to qualify for this special offer you must pre-book with us at the time of your cruise. 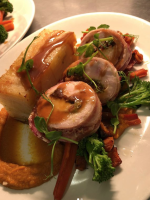 For more details visit the Ship Inn's website www.shipsouthwalsham.co.uk or click the link below to view the current menu. 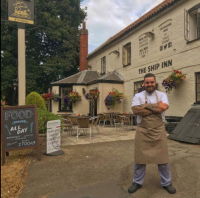 In association with The Ship Inn at South Walsham we are offering the chance for you to win a luxurious fine dining cruise experience for up to four people worth over £600. 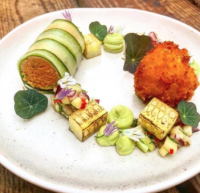 We will cruise from our mooring base on South Walsham Broad for four hours whilst Mason Wooltorton, Head Chef at the Ship Inn personally prepares and cooks a delicious, luxurious, five course, fine dining menu just for you. 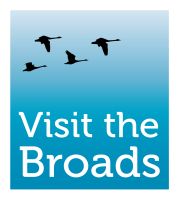 This is a charity competition with all proceeds going to Love the Broads charity who raise money towards supporting projects across the Broads to protect and support our beautiful landscape, local communities and traditional heritage. Simply head over to our social media accounts (Facebook & Instagram) and follow the instructions. Are you a member of the emergency services, armed forces or a veteran? Receive 10% discount on your next cruise if you are a Blue Light Card holder or a member of the Defence Discount Service. Simply show us your membership card details at the time of booking. If you are looking for family accommodation close to the Norfolk Broads and our mooring base in South Walsham take a look at Eastern Beach Caravan Park. This small, family-run caravan park enjoys a stunning, peaceful setting directly on the golden sands of Caister-on-Sea beach and is just a twenty minute drive away. 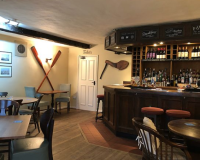 It's an ideal base from which to explore the area and whats more all our Broadland Charters guests can take advantage of a very special discount on their stay. Simply quote "Broadland Charters" to receive a 5% discount when booking. 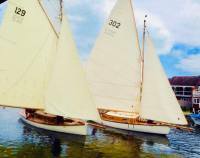 The Three Rivers Race is the most iconic and toughest inland sailing race in Europe. Covering 50 miles, comprising of three Northern Broads rivers and three bridges all of which have to be completed within 24 hours. Whilst we are in awe of the competitors we much prefer to take the easy life and spectate - of course the very best vantage point is from a boat. 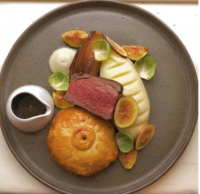 So, why not charter our very own "Norfolk Time" on the 1st June 2019 and spend Three Rivers Race Day afloat in total luxury. You could order canapes on arrival, a picnic for lunch and a bottle of bubbly to sip whilst you watch the boats sail past.